Will Santa Claus Take Cryptocurrency? It was only a few weeks ago that we reported that Bitcoin is trading on Wall Street in the futures market, and all of the persons who’d jumped on that train early were being hailed as forward-thinking geniuses. 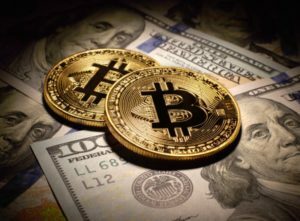 For the time being, the immediate Bitcoin problem is that speculators in the virtual currency have been on a wild ride, with the price of a Bitcoin rising from under $1,000 to as high as over $18,000 and back down to $12,000 before setting for the moment around $14,000. This makes a few early bettors very rich, but exactly what real economic good does that do? Needless to say, they aren’t sold by the mere “idea” of security vs. the enforcement of same via government oversight. Even on Christmas Day, Wells Fargo’s Chris Harvey warns that a bitcoin implosion could “spill over” into the stock market. Taking a step back, there are plenty of innovations going on in our world which have high risks, potentially high rewards with unknown economic effects. Take what’s going on with the legalization of marijuana or tax cuts. To the general public that largely views Bitcoin as “science fiction,” we only hope that we don’t have a meltdown like we did in 2008. Other than that, I encourage you to read up on cryptocurrencies and appreciate how sophisticated the minds are behind these concepts. If we can apply this kind of brainpower to the economy for economic prosperity, just think of how far the stock market can go and how much benefit can be derived from payment innovations. In the meantime, Santa does not take Bitcoin, but he will take a well-protected check with OrboAnywhere! Happy New Year from your friends at OrboGraph.